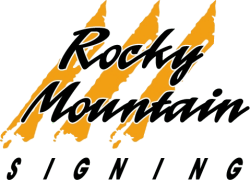 Traffix Big Sandy Attenuator Barrels are now available through Rocky Mountain Signing. 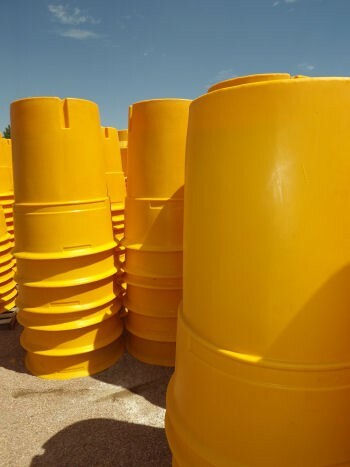 Now there are Impact Attenuator Barrels with sand that are easy to move and provides external verification of the barrel's correct weight of sand. Different configurations of barrels are used to create all of the weights used in current standard array geometries (200lbs, 400lbs, 700lbs, 1400lbs, and 2100lbs). External sand weight verification is easy - just use the right configuration barrel to obtain the correct weight. Sand leaking is eliminated because each sand container is one piece - no edge seals. Shipping, storage, and installation is easy because there are no cone inserts.